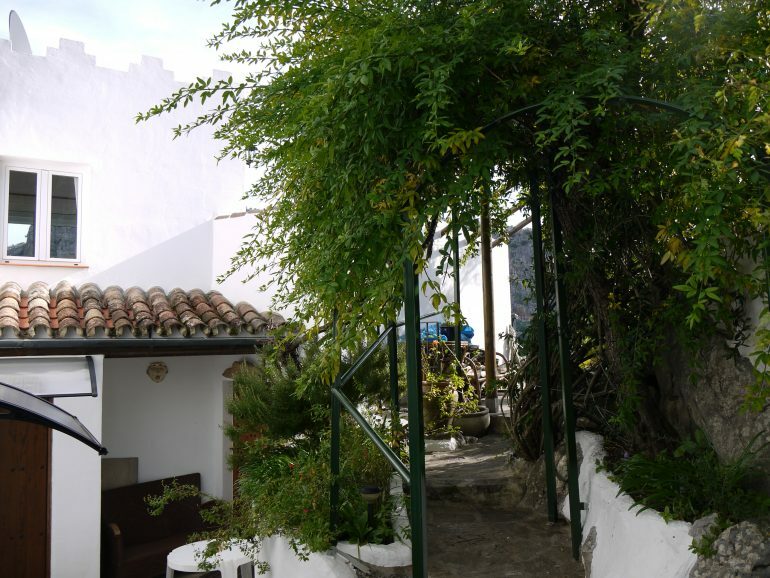 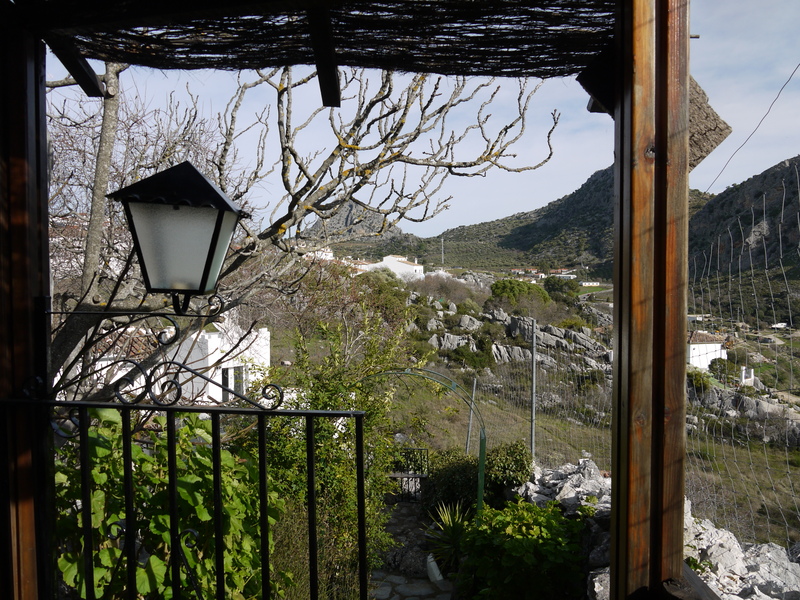 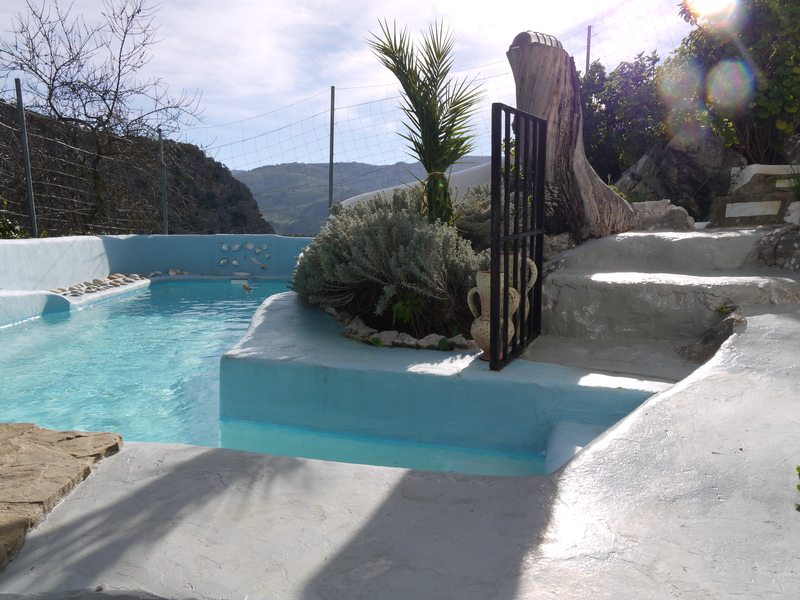 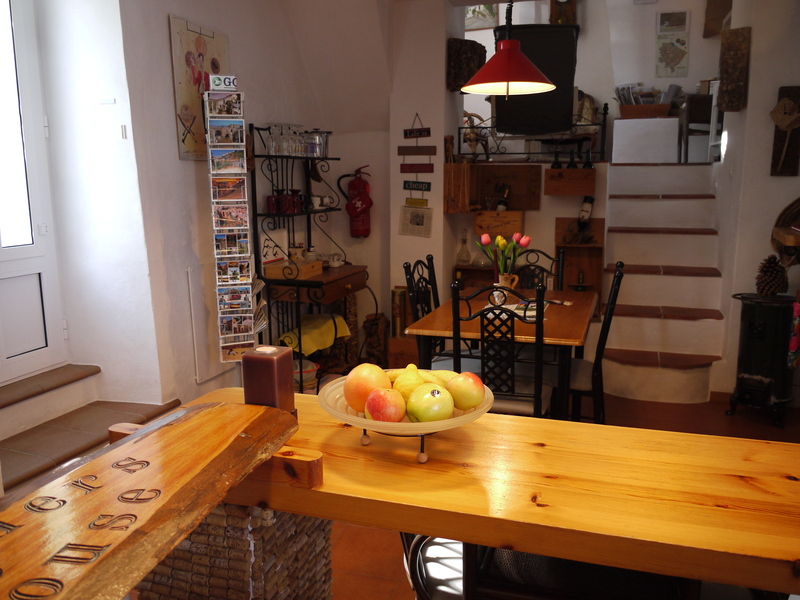 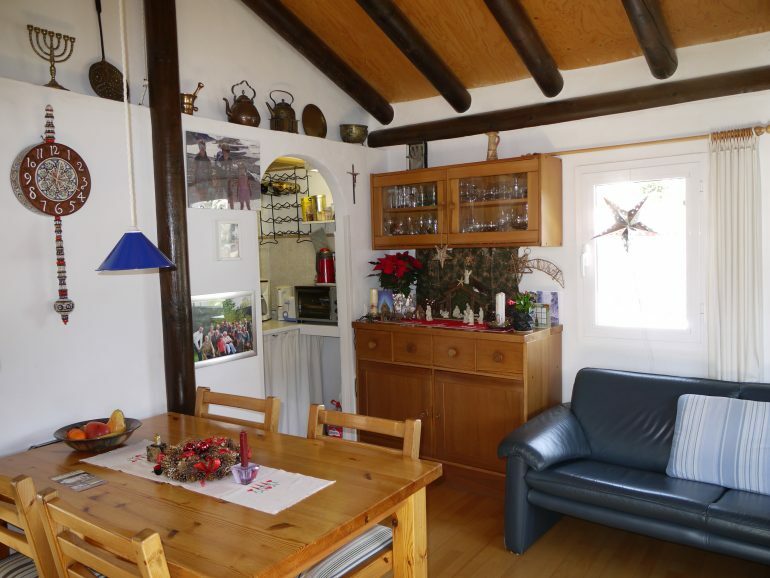 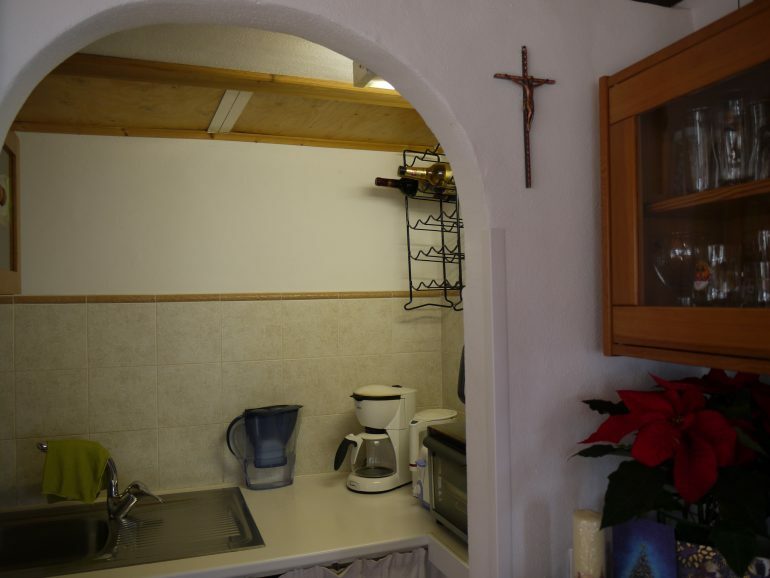 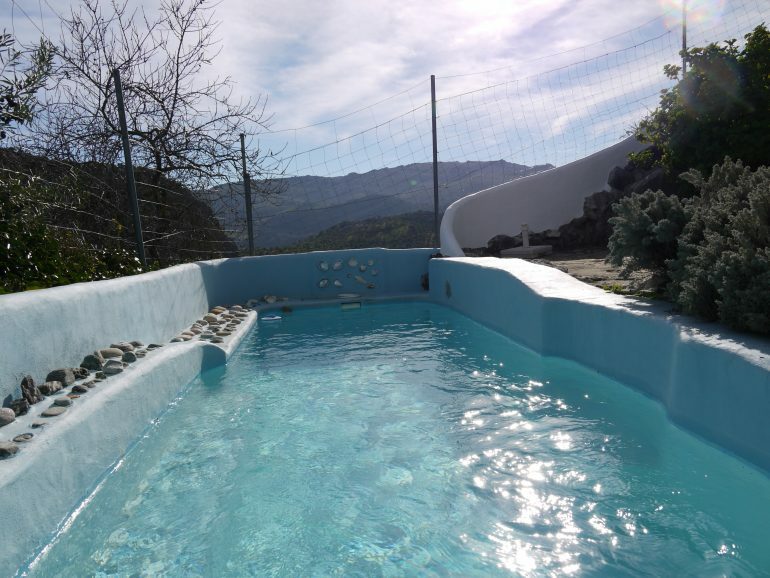 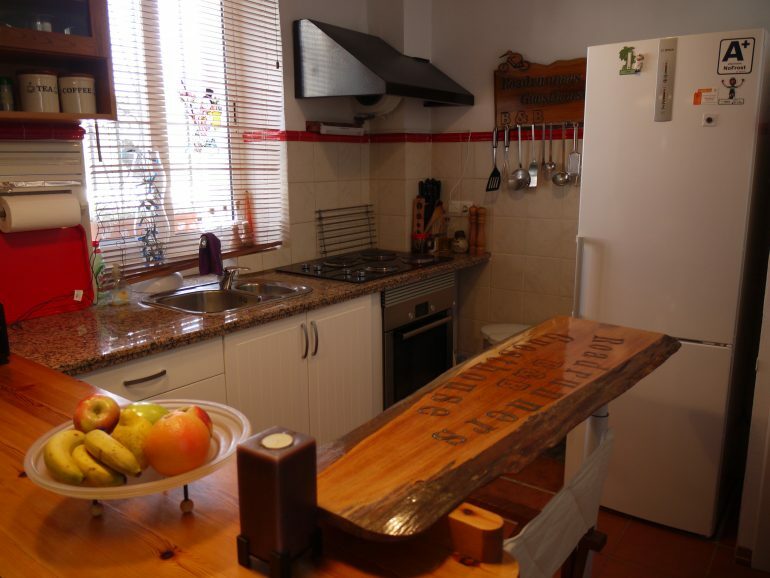 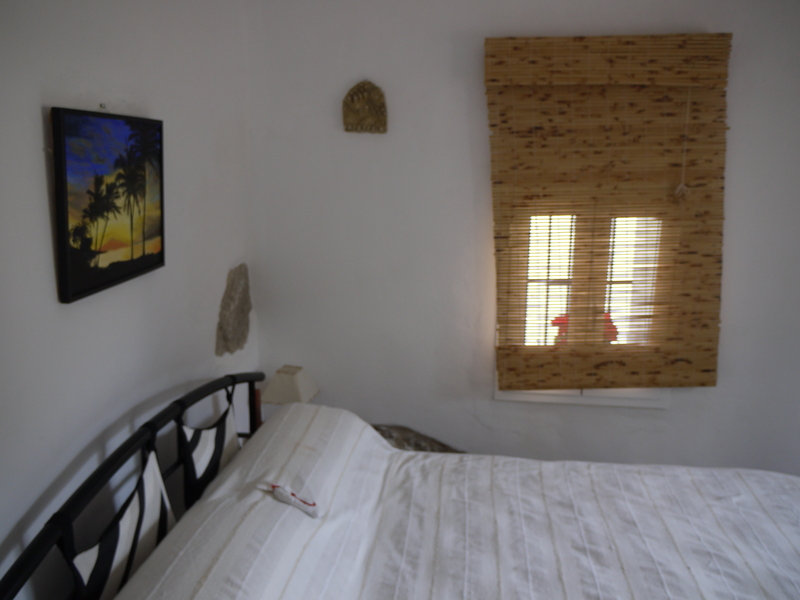 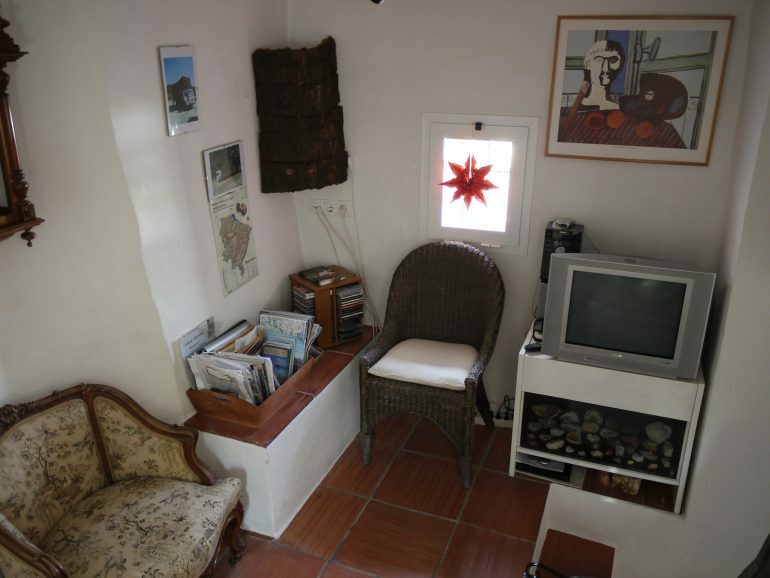 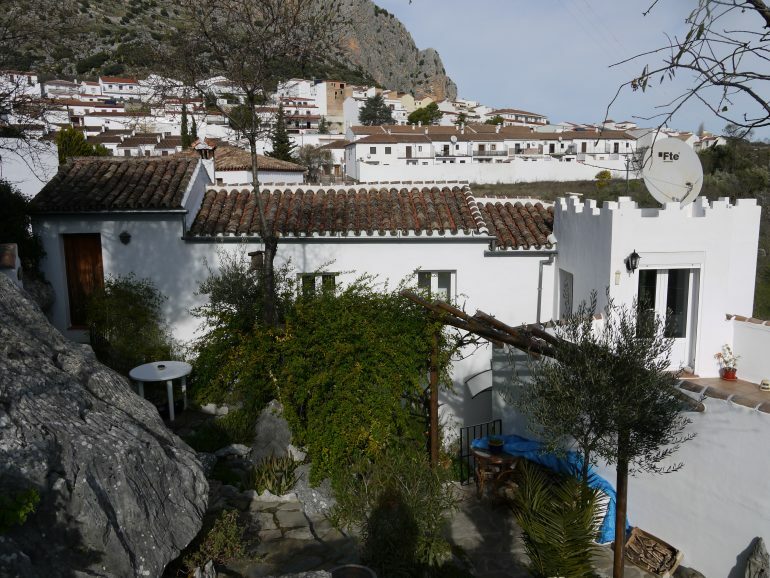 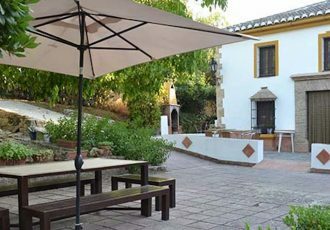 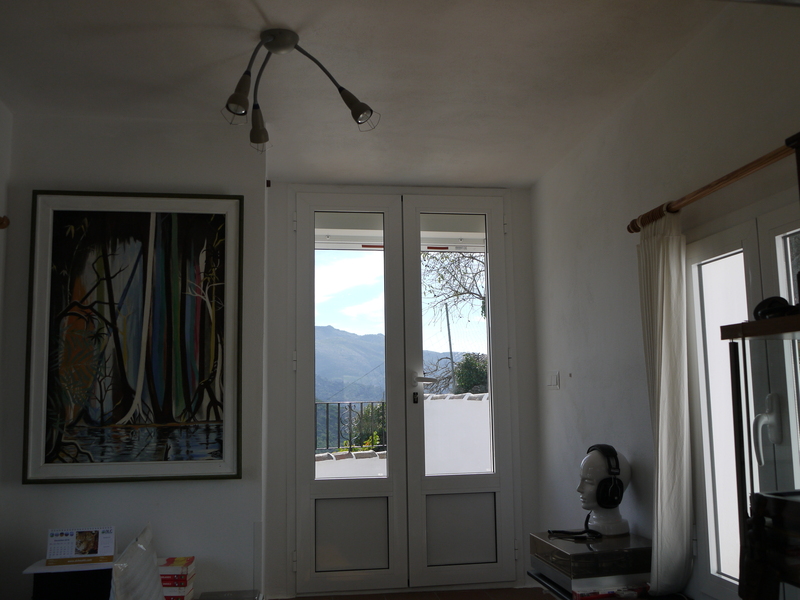 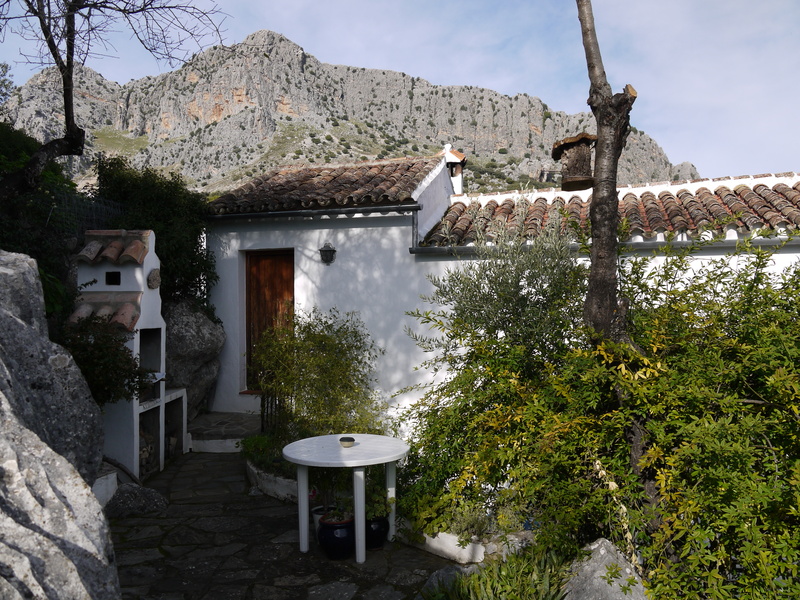 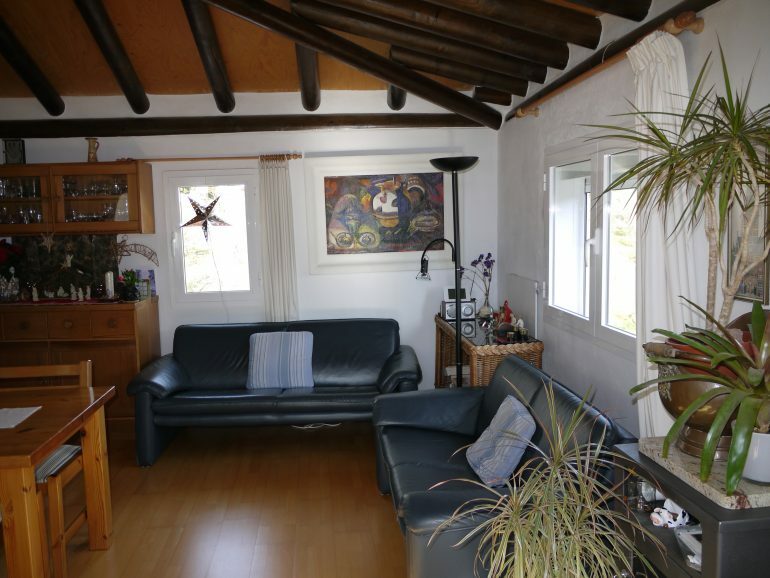 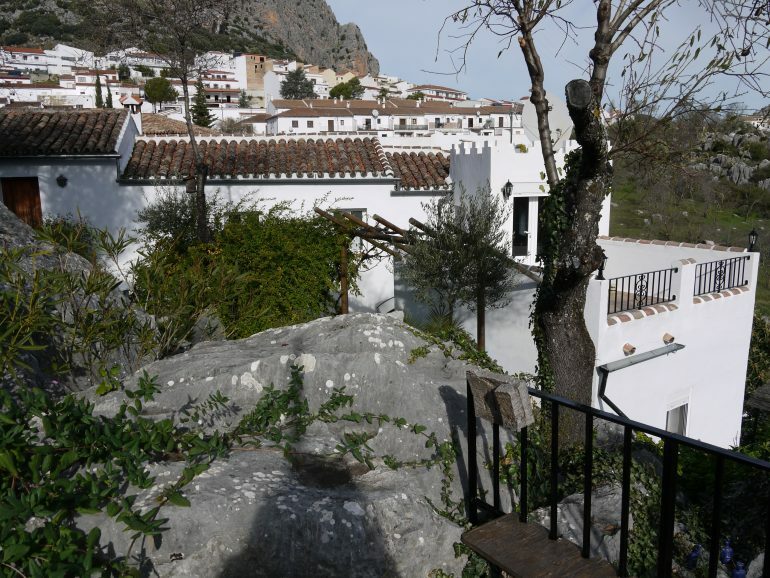 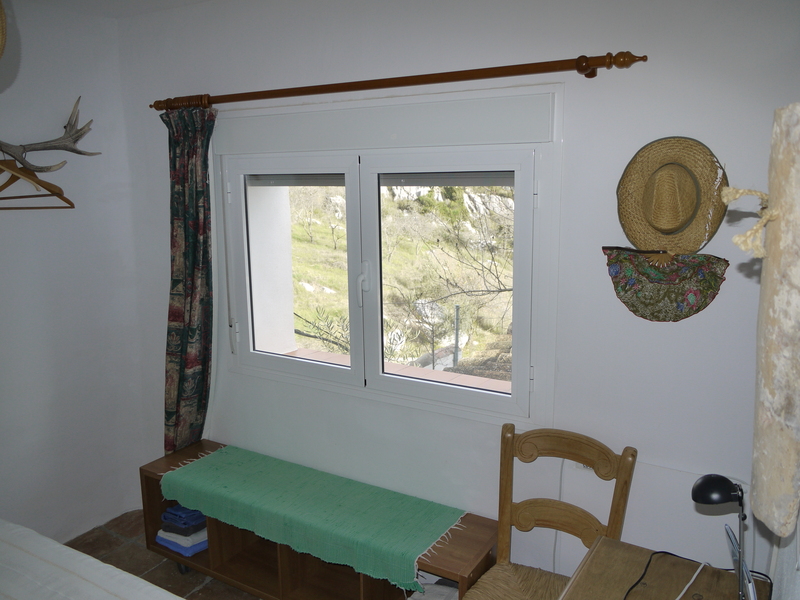 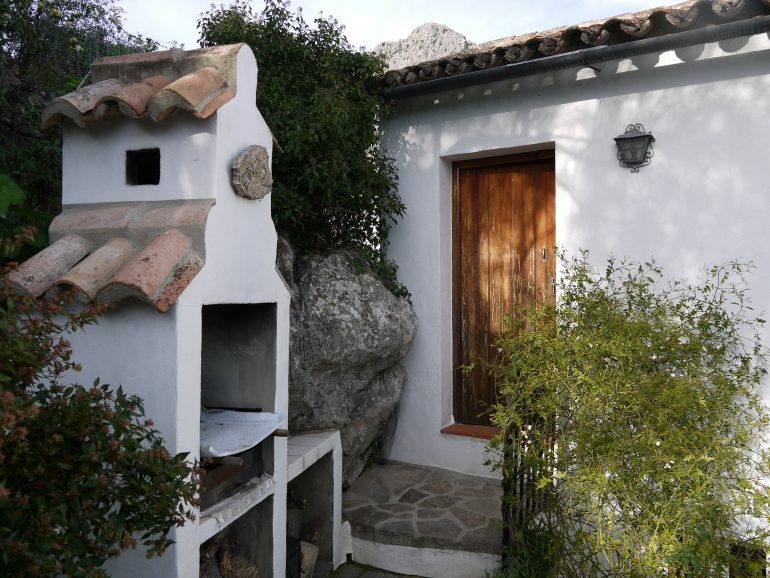 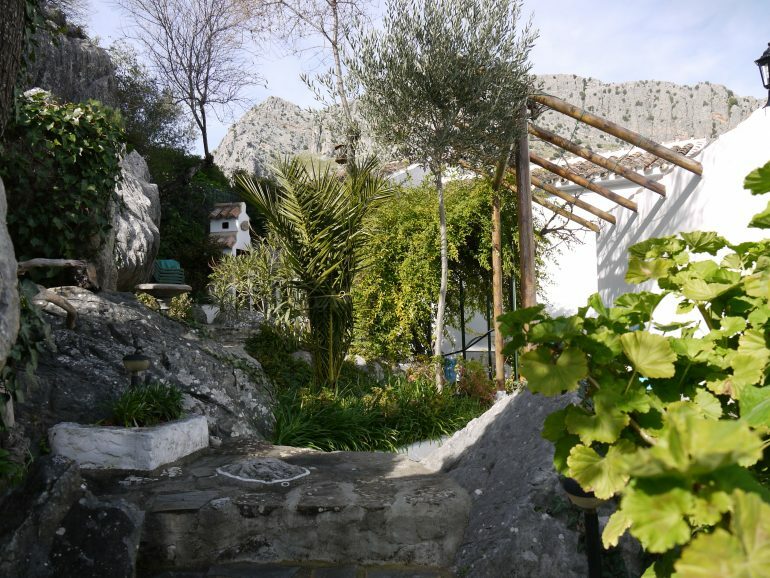 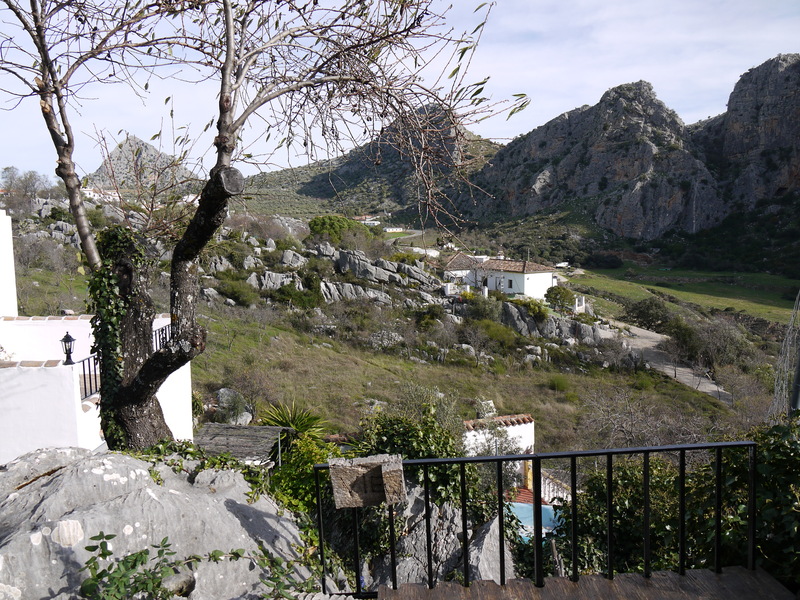 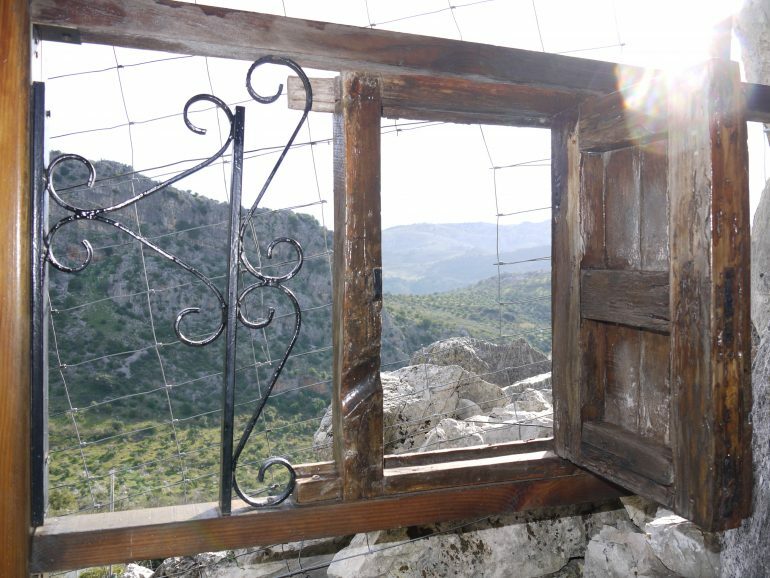 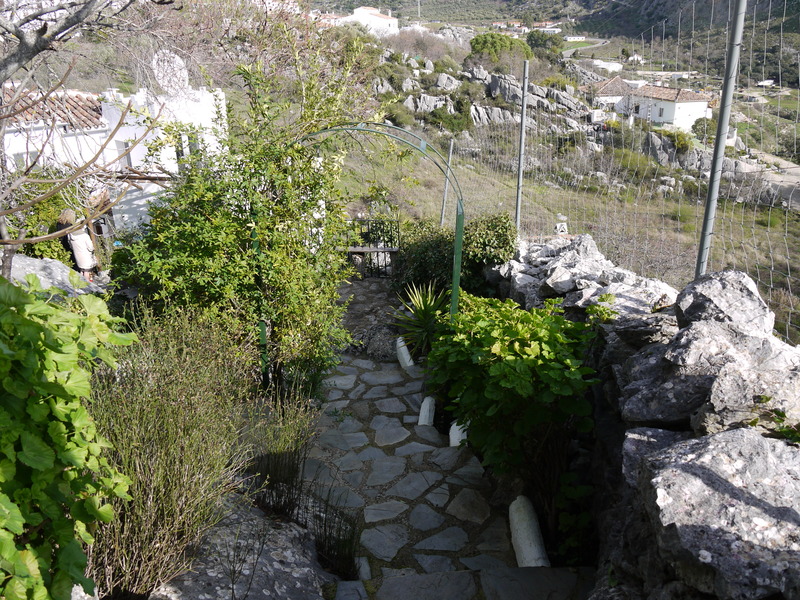 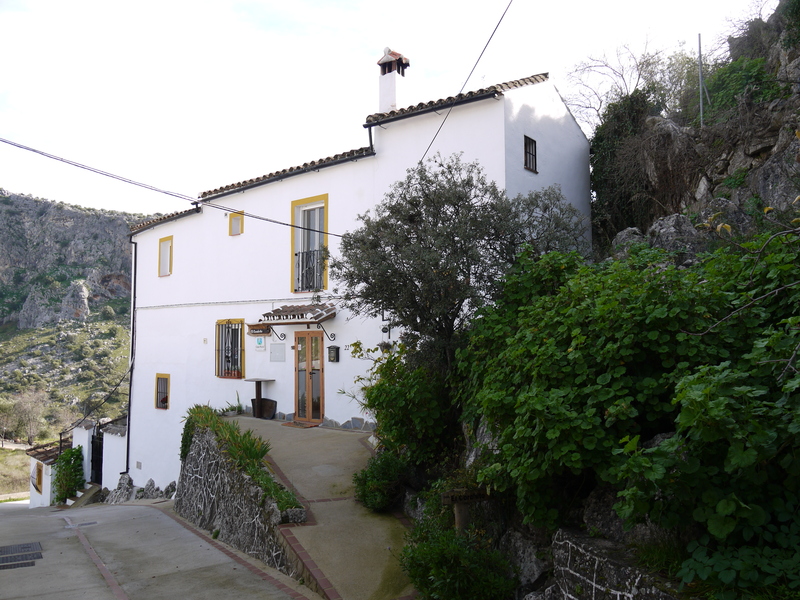 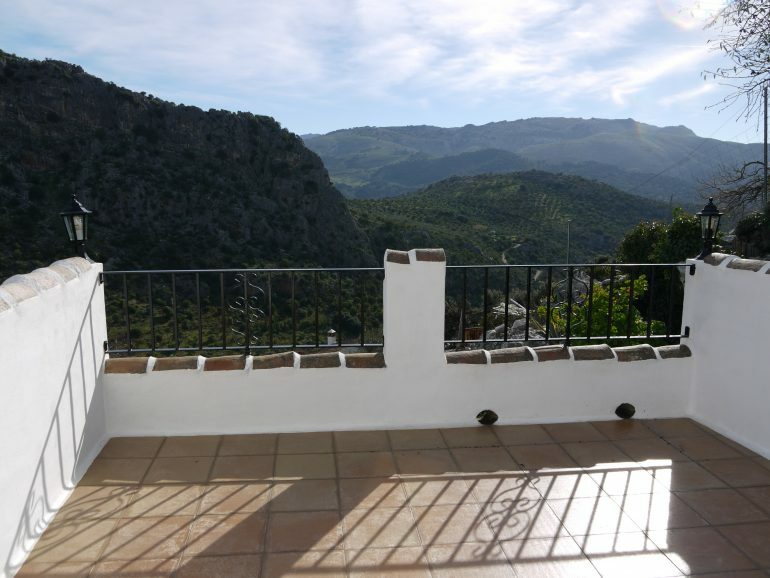 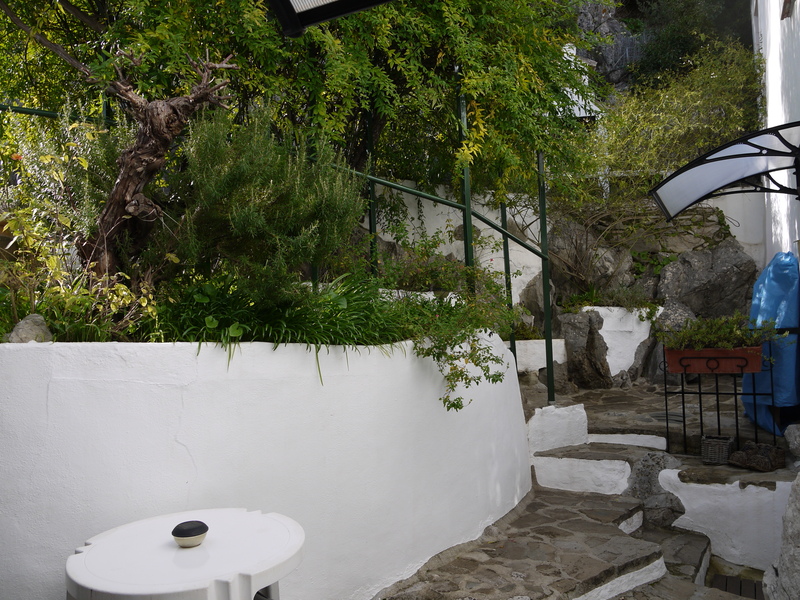 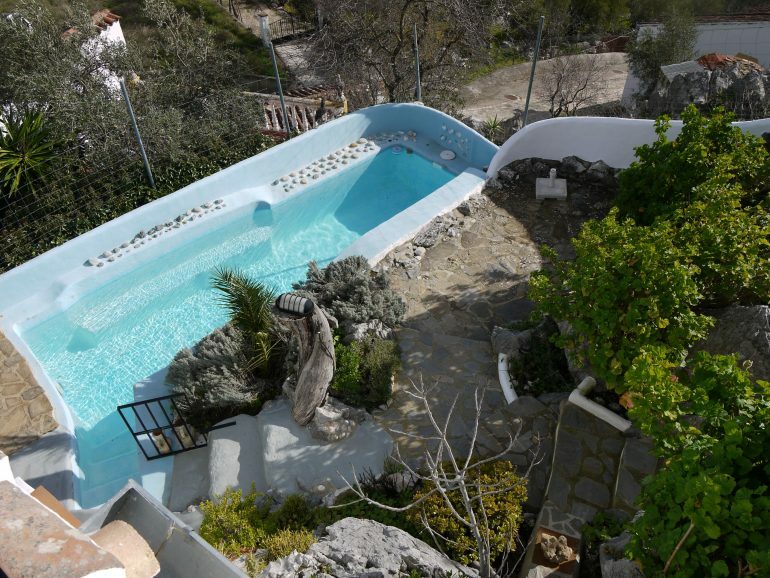 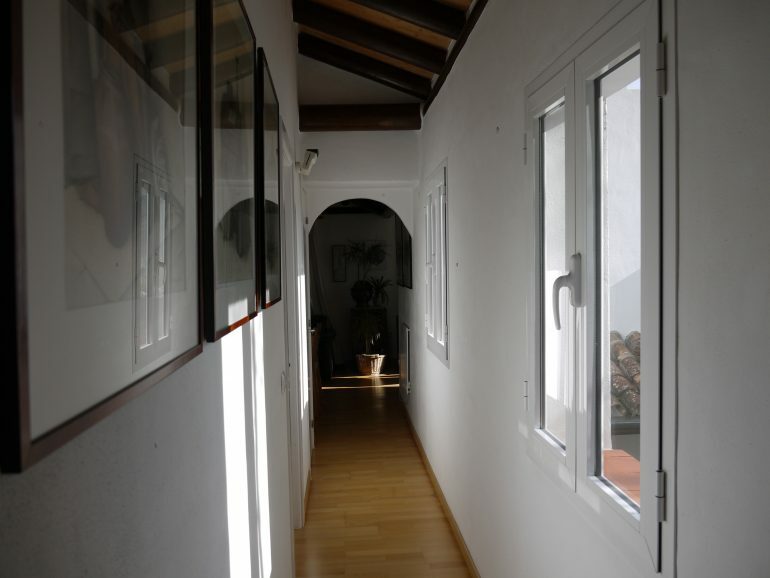 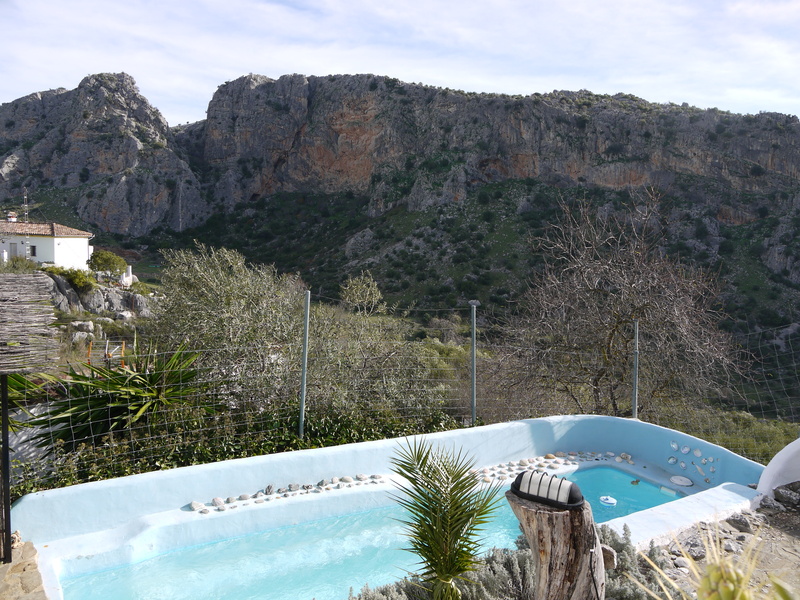 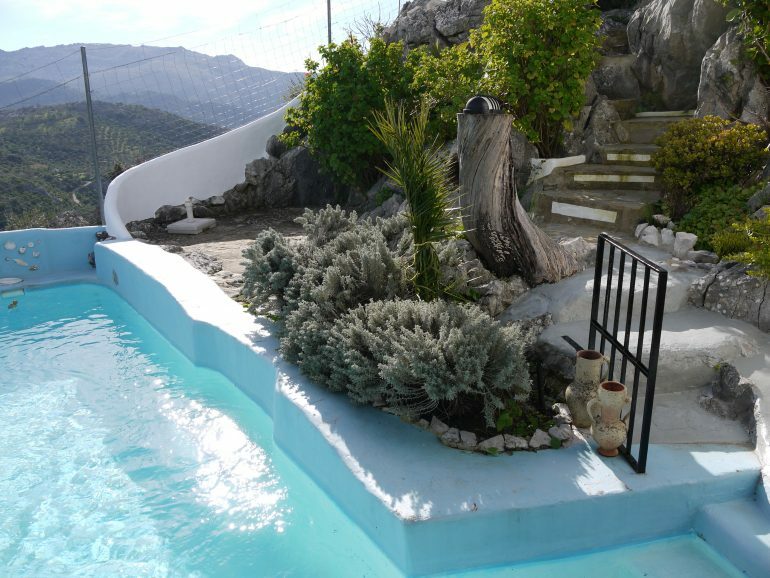 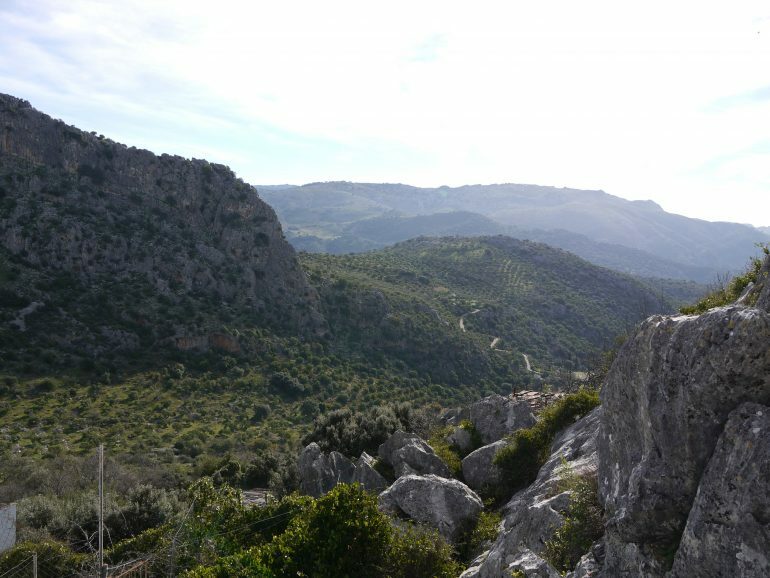 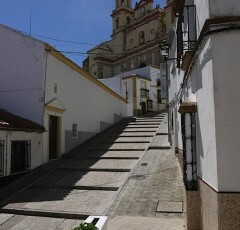 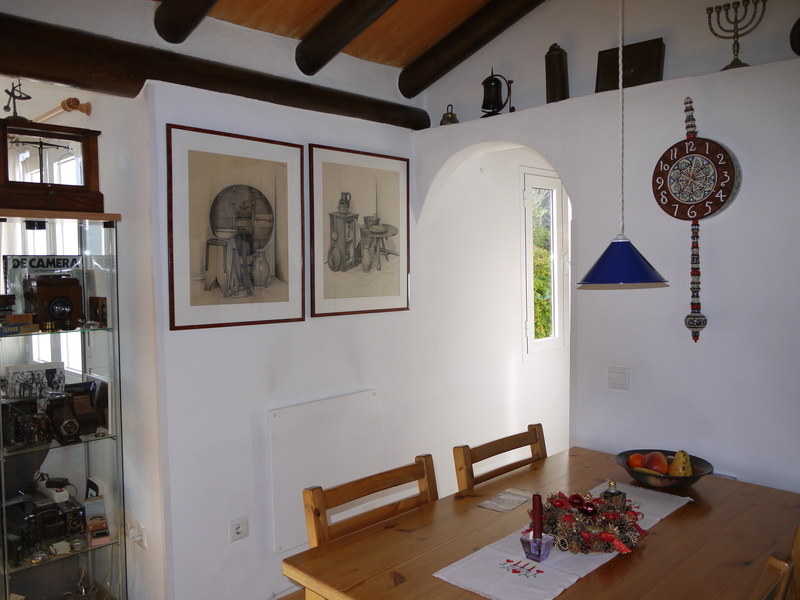 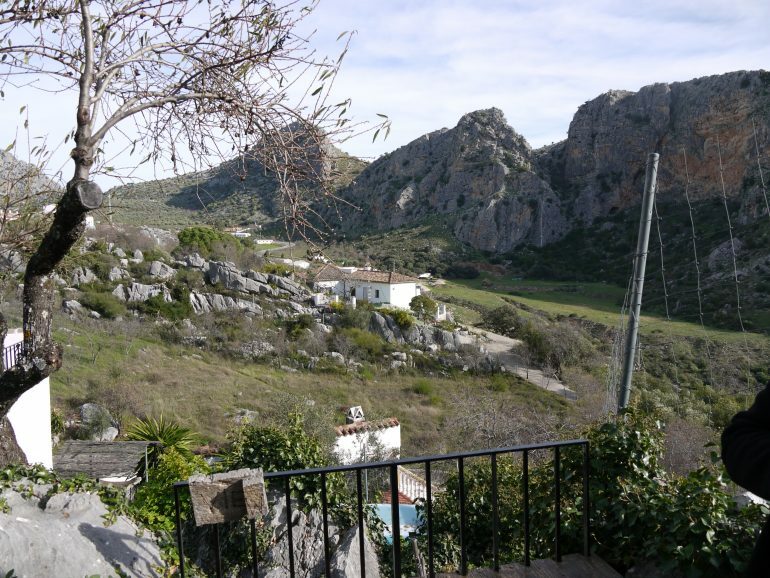 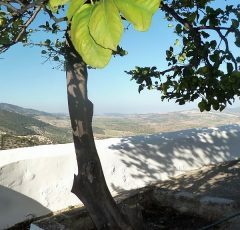 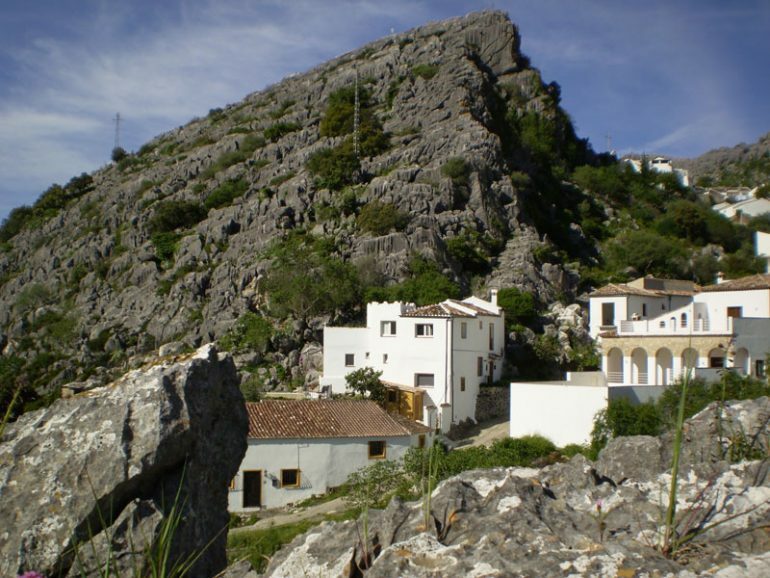 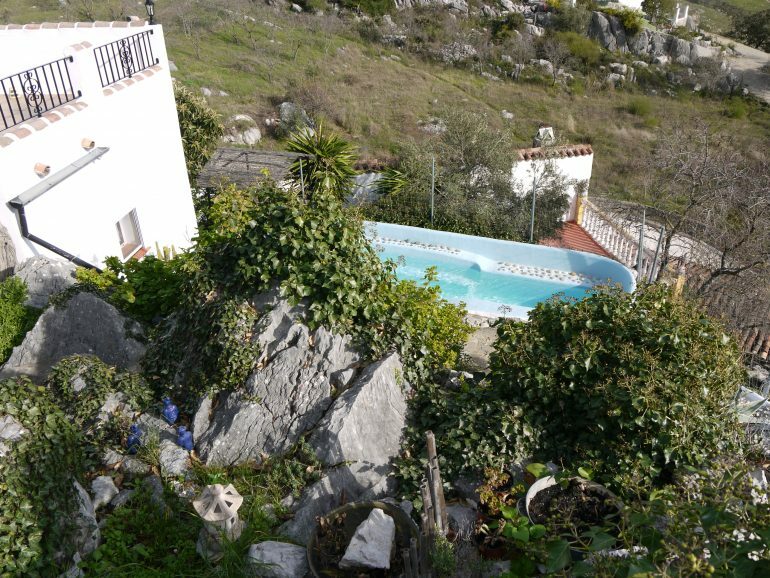 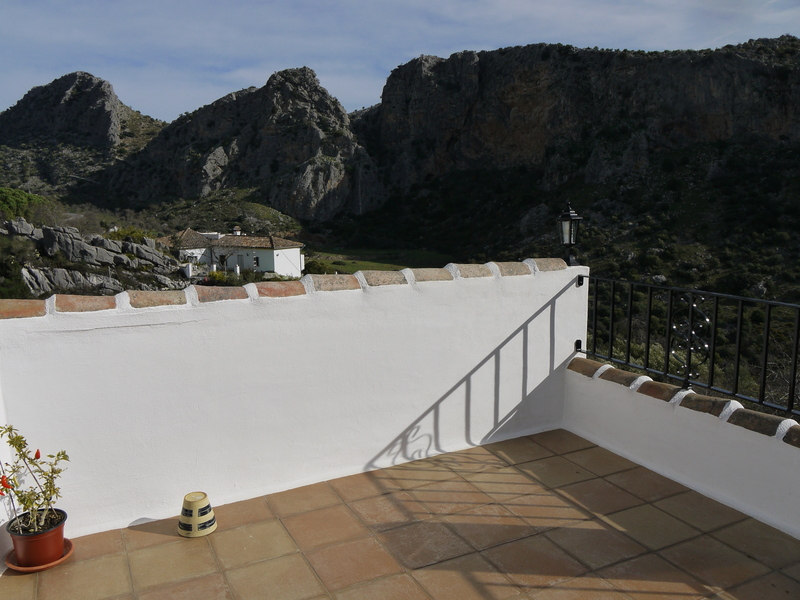 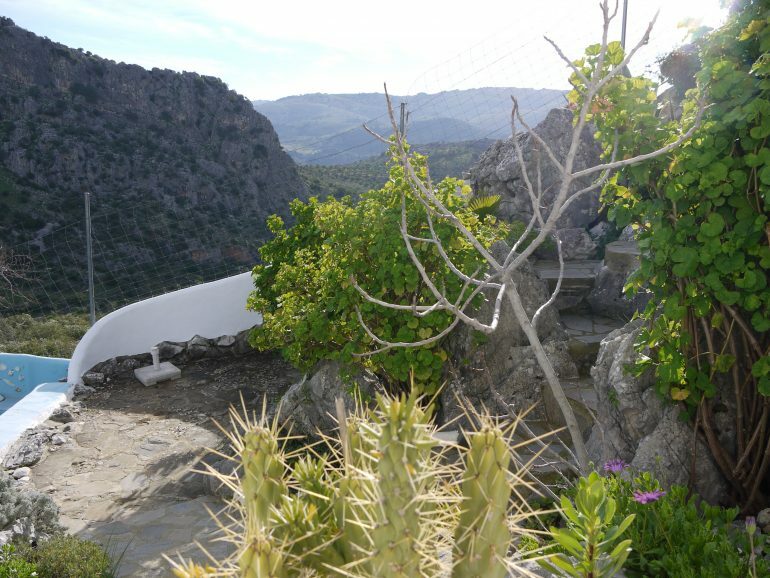 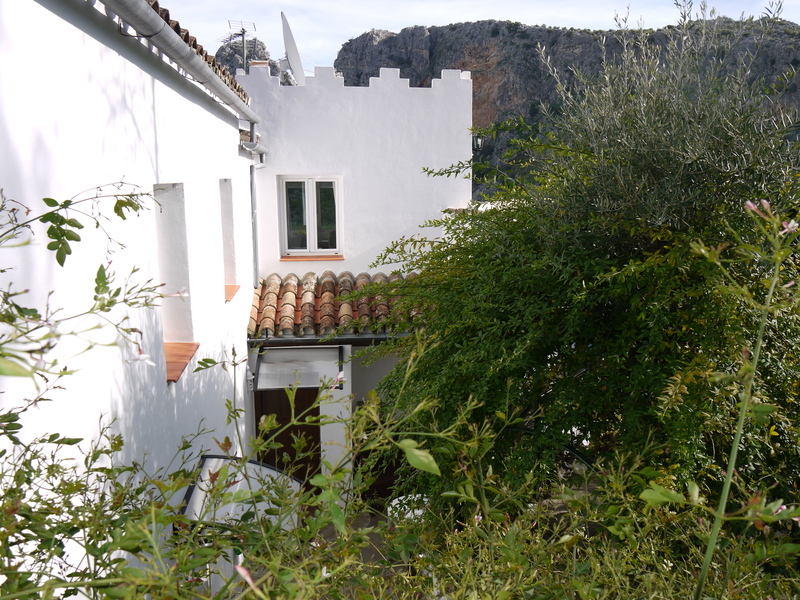 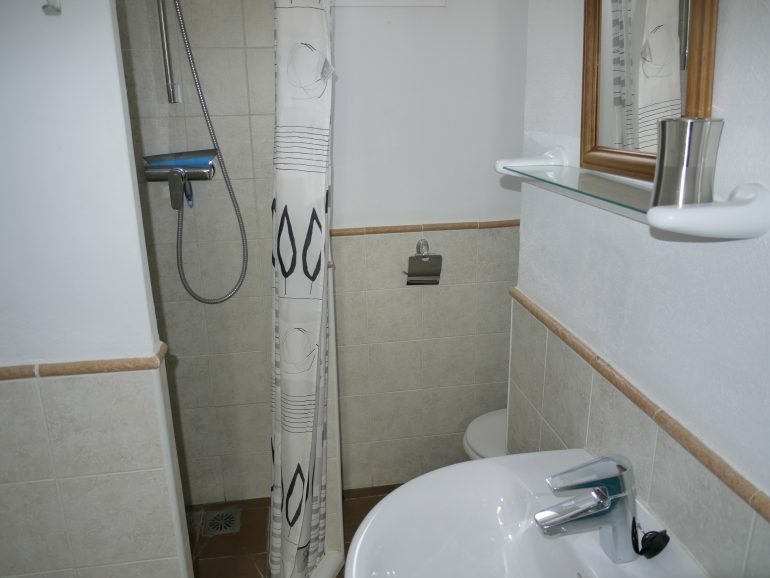 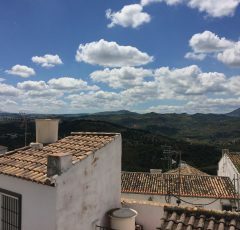 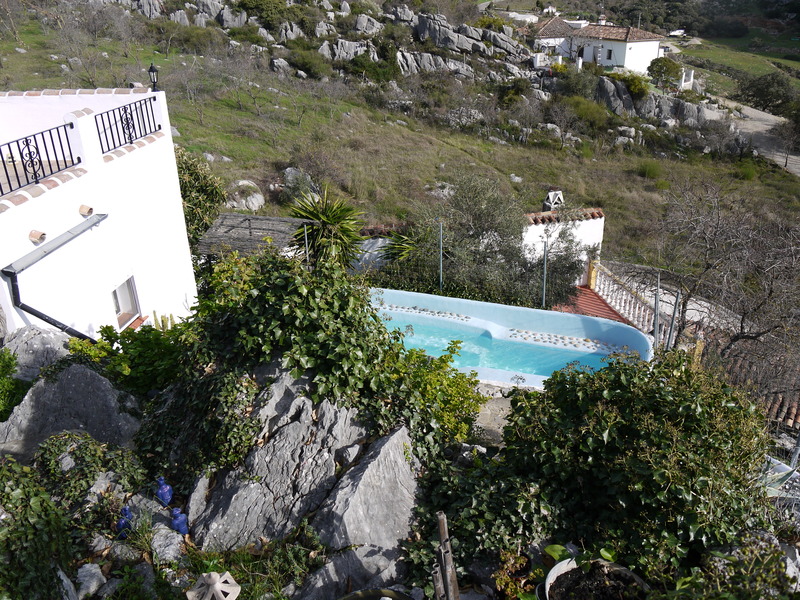 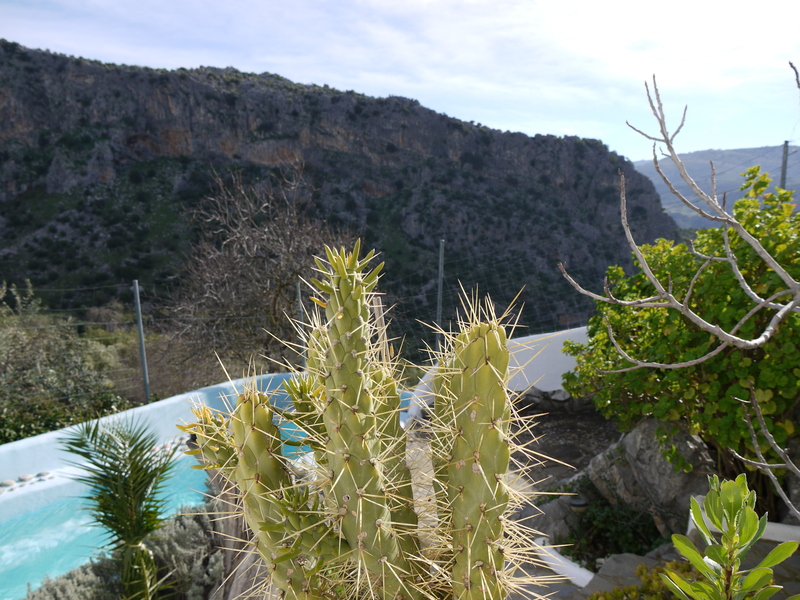 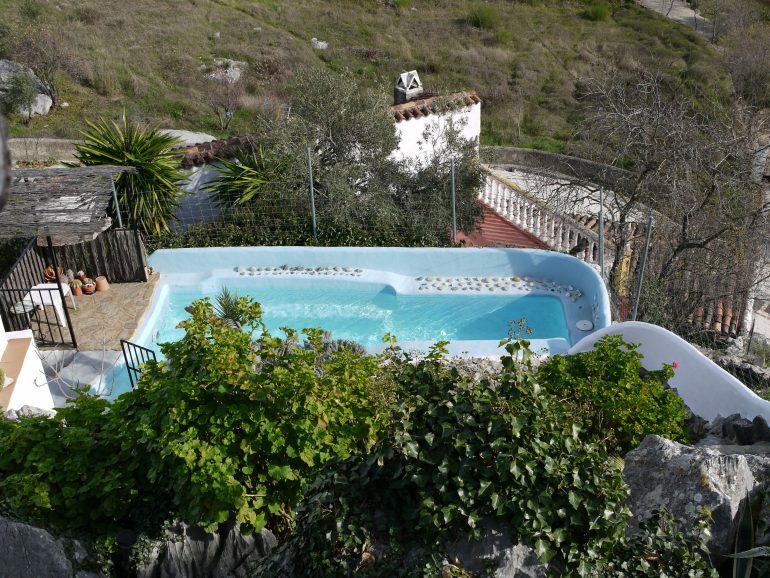 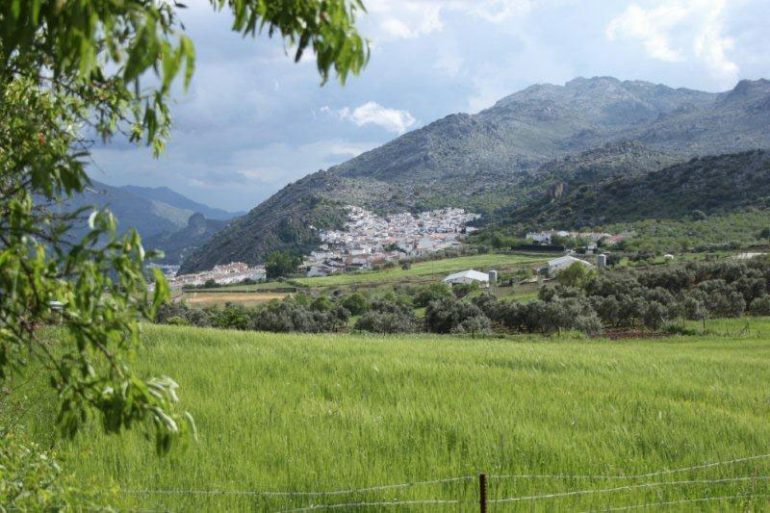 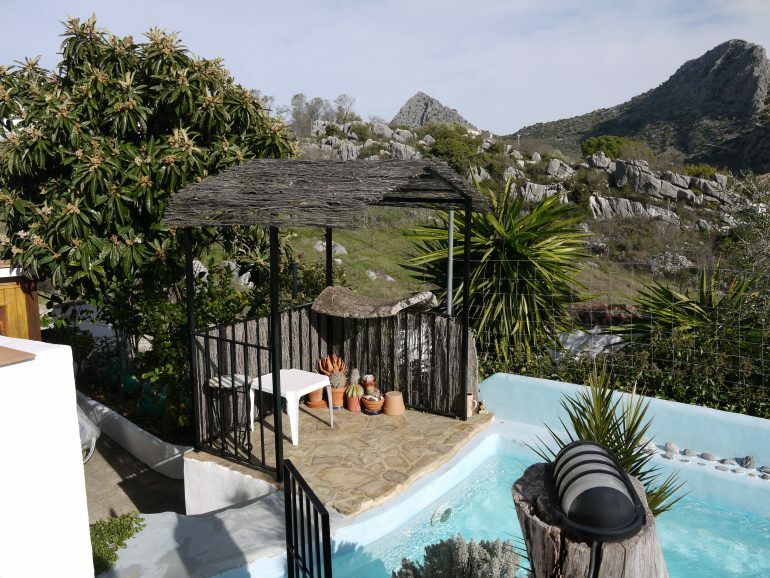 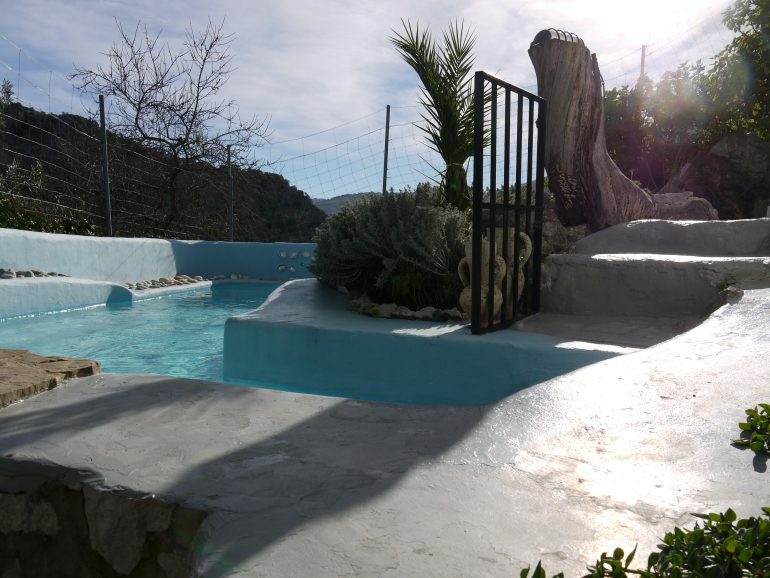 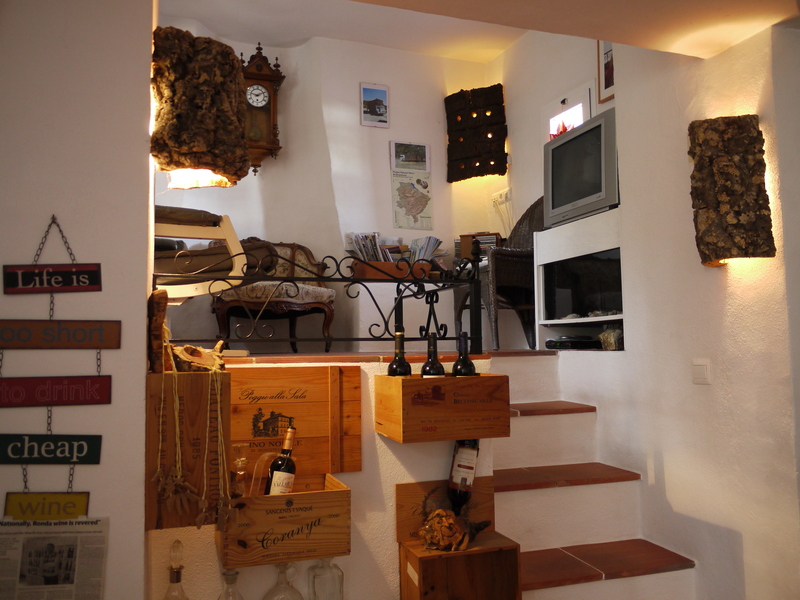 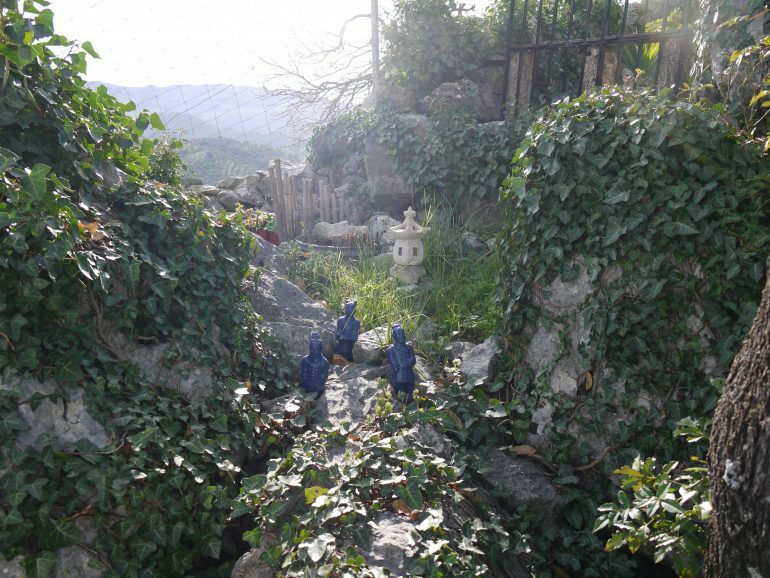 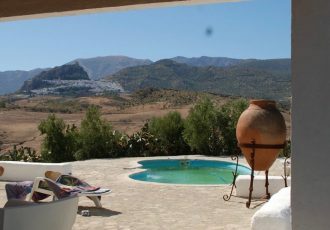 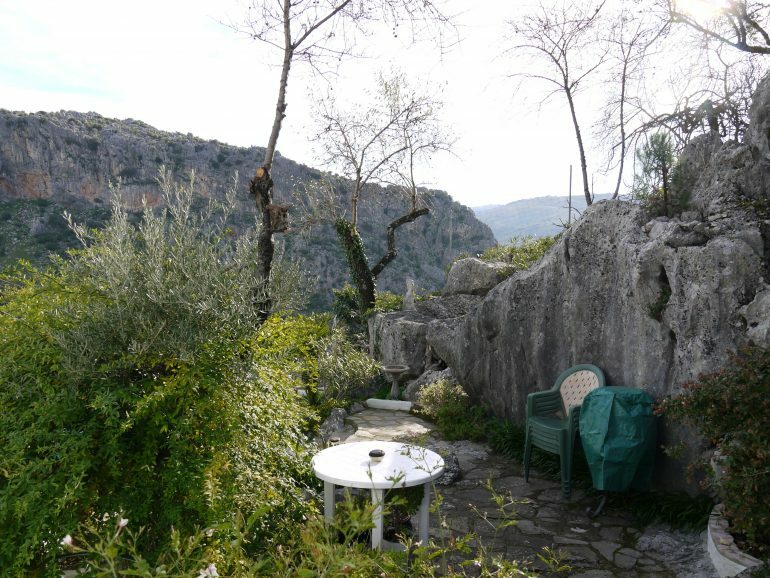 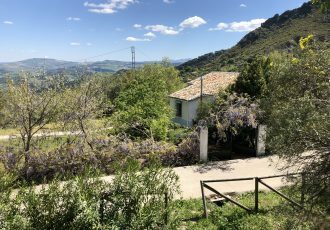 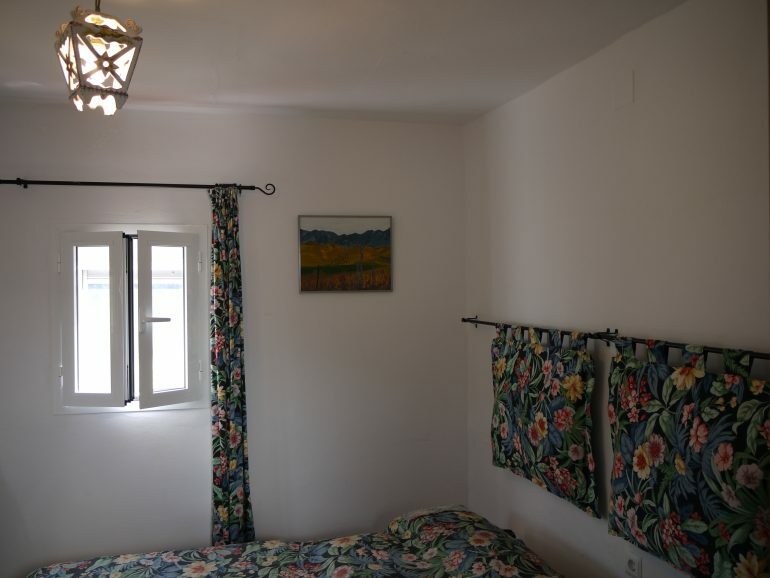 This beautiful guesthouse set in on the edge of Montejaque in a nearly 300m2 plot close to Ronda, is just lovely, currently used as a part time B&B it feels like its in the countryside yet has all the convenience of the village amenities , being just a short walk from the village centre. 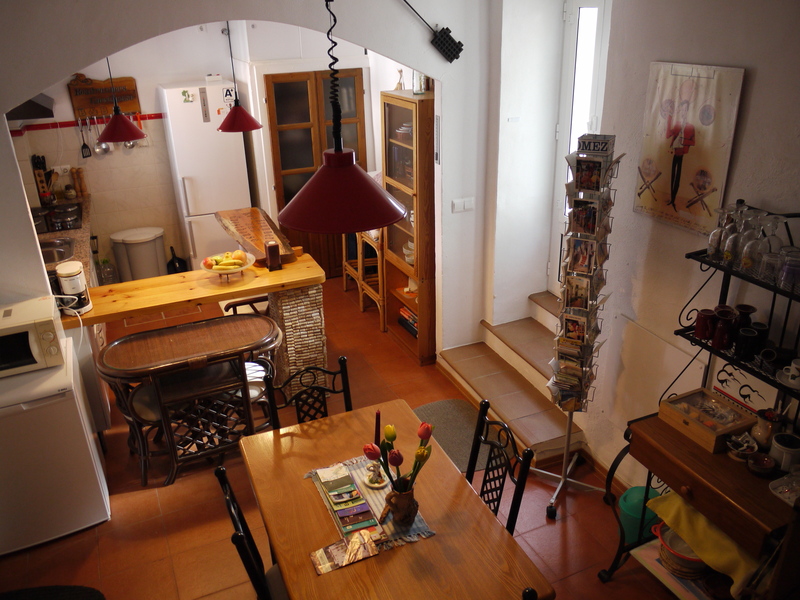 On ground floor level you have a nice dining and kitchen area , which is the breakfast room for the guests, there is a cosy lounge on a mezzanine level too. through the back door you have a flat terraced area leading to the gardens which is charmingly fitted around the rocks Here we have the the two double guests rooms with tiled porch entrances each one has an en suite bathroom,and windows looking out onto fabulous glimpses of the surrounding mountains and wall heaters for warmth in winter. Back inside the house the owners have their accommodation upstairs , a large open plan living and dining area with a kitchenette, there is a good sized double bedroom with lots of storage and of course a bathroom, this upper floor is charming with high wooden ceilings and large windows that let the light and warmth of winter sun flood in, of course shutters are used in summer to keep it cool , there is a wood burning stove and another terrace over looking the gardens and beautiful surroundings. 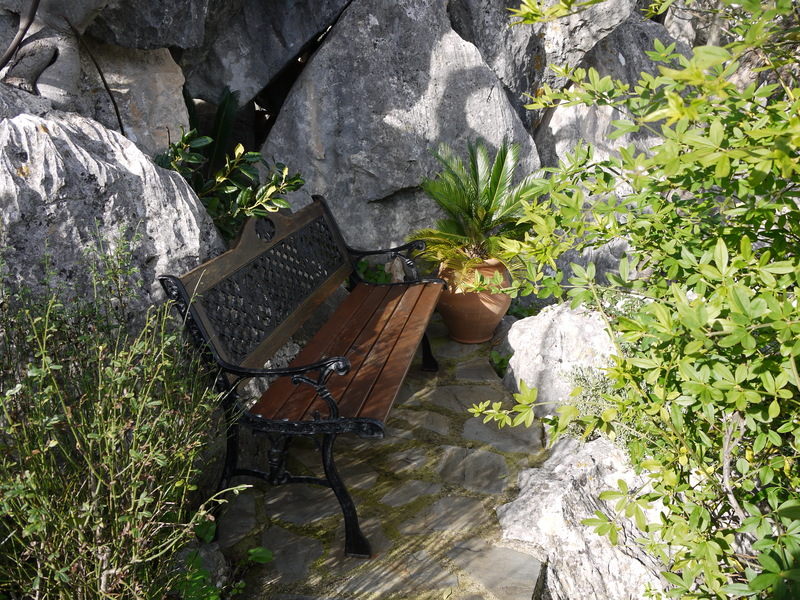 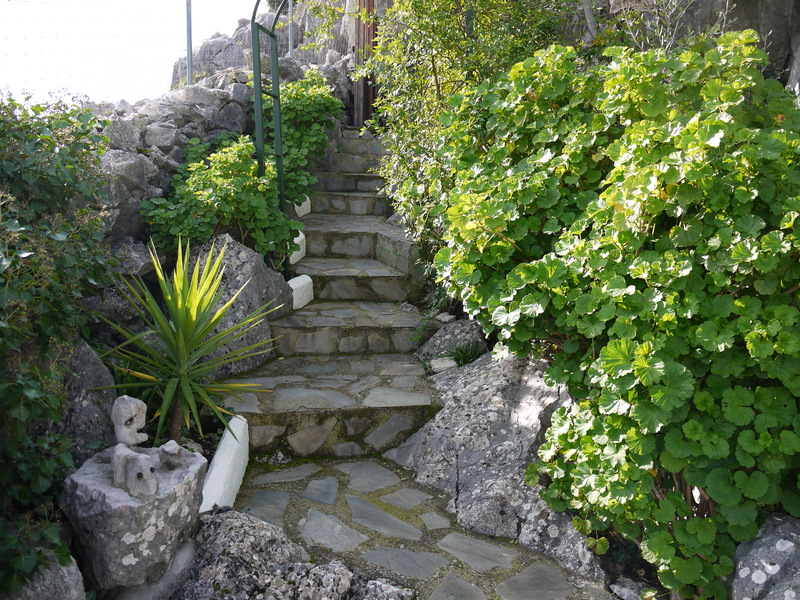 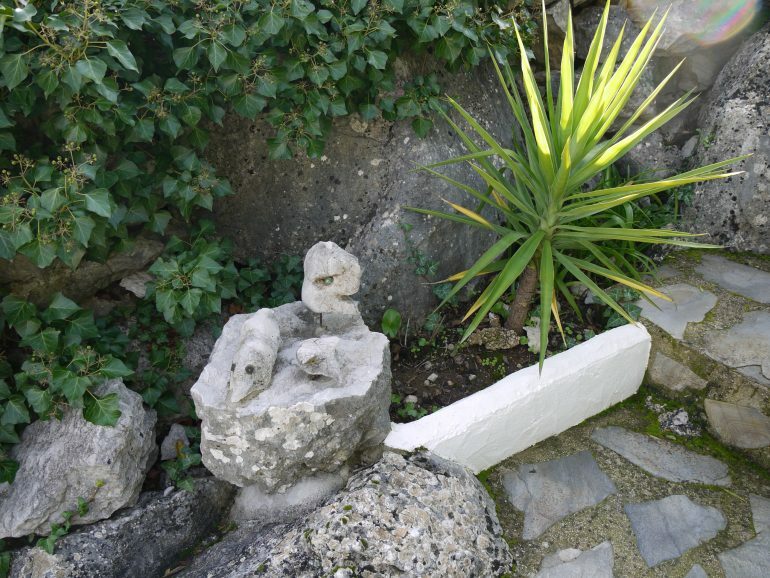 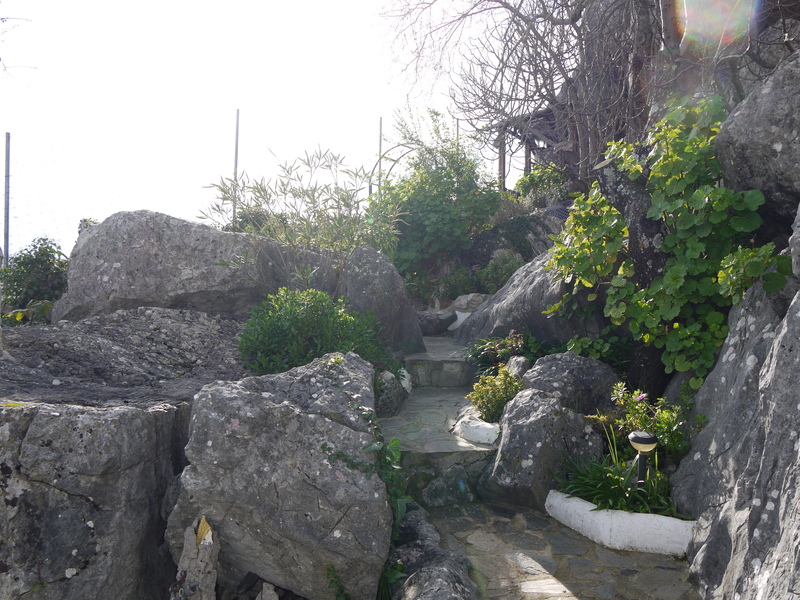 Back outside the gardens frame this characterful home beautifully with winding path ways through the planted rocks to a lovely hidden look out spot with bench and table for peaceful contemplation and relaxation. On a lower level you have a lovely pool just big enough for a cooling dip in the summer heat , there is a paved area and pergola by the pool . 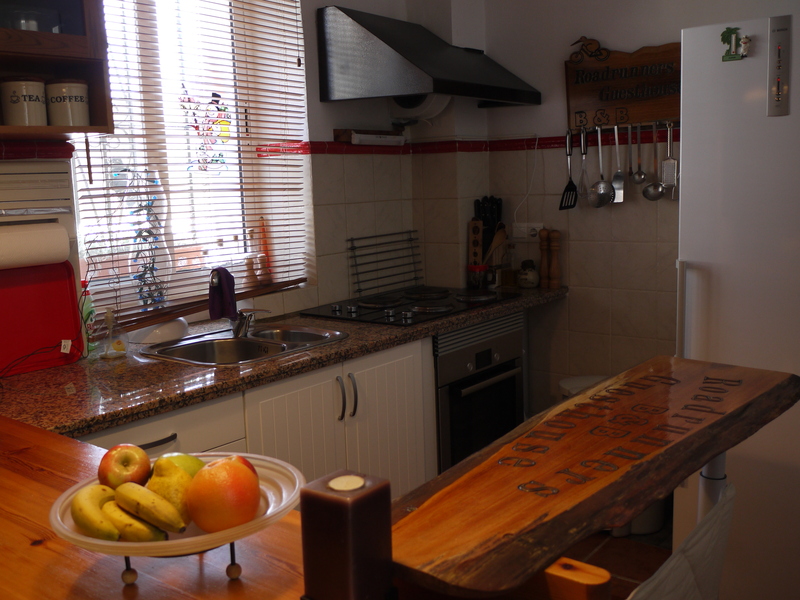 there is a side gate to access both the garden and a handy storage shed where guests have stored their bikes, the area is popular with walkers, climbers and cyclists , so if you wished to continue the low key business you could but this place would also make a great home for anyone who loves peace and quiet in beautiful natural surroundings but with easy access to shops and restaurants of the village .